Every year around this time we award a couple of community scholarships for students who completed secondary school and who have the talent and drive to complete vocational training. 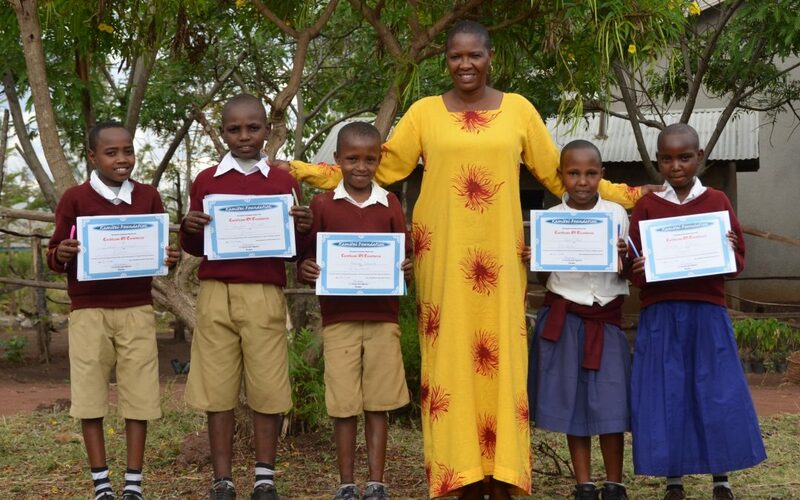 This year we selected four students; two from Oltukai and two from Irkeepus, both maasai communities. Three of them will go for vocational training to become a tour guide and one, Mbario (see photo) will go for teacher college. They are all very likely to get a job after they finish their studies. For teachers it is virtually guaranteed as there is a shortage in the country. But even for tour guides the odds for a job are really good, especially if you come from one of the maasai communities that are close to the main tourism circuit, because tourism enterprises are keen to hire local maasai people with skills. We are sure they will all do well and we are proud to be able to offer them and their families this chance for a better livelihood!